Week 10 is complete. Canadians had impressive performances, including some from freshmen. Below is a recap of the past weeks highlights. Jake Sanford (Dartmouth, NS) had a huge week for the University of Western Kentucky Hilltoppers. Sanford smashed three home runs in the Hilltoppers 12-9 win over Eastern Kentucky to get things going. His first was a solo shot, the second was a three-run home run and he capped it off with a grand slam. In Game 1 of their series with Charlotte, Sanford had a hit, a walk and a stolen base. He exploded in a Game 2 win, going 4-for-5 with a solo blast. He finished the game with two RBIs. In Game 3, a 13-13 tie, he went 4-for-5 again, this time with a two-run home run. He also walked and drove in five. For his performance he was named the Conference USA Hitter of the Week for the second straight week. Through 26 games played in 2019 Sanford is hitting .381 with 14 home runs and 42 RBIs. 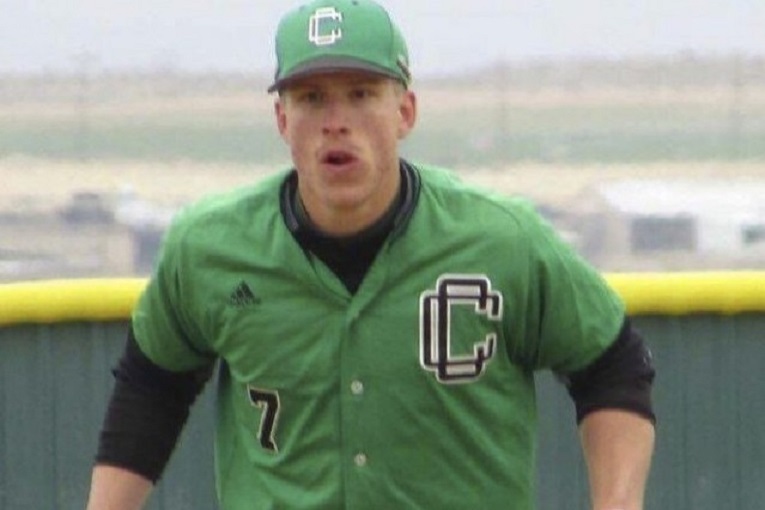 His 14 home runs rank second in NCAA Division I.
Matt Lloyd (Okotoks, Alta.) hit a solo home run and walked for the Indiana Hoosiers in a 9-8 loss to Kent State. Lloyd took the mound in the game as well and threw two scoreless innings. He allowed a hit, a walk and struck out two. Lloyd then had a huge series against Maryland. After walking in a 2-0, Game 1 loss, he went 3-for-4 in Game 2 with a pair of home runs. The first was a two-run home run in the first and the second was a solo shot in the second. He walked twice and scored four runs in the win. Game 3 saw him hit two more home runs during a 3-for-5 game. It was a solo shot and three-run home run performance this time. He was hit by a pitch and drove in seven. Lloyd was named Big 10 Player of the Week for his effort. Freshman Tyler Black (Toronto, Ont.) hit his first college home run, a three-run shot, in Wright State’s 10-0 win over Xavier. He hit his second, a solo blast, in a 10-8 Game 2 loss to Youngstown State. In Game 3, an 18-8 win, he hit an inside the park home run. He finished the week with seven hits, four walks and eight RBIs. David Rhodes (White Rock, BC) stood his ground against the NCAA Division I No. 7 and defending national champion Oregon State Beavers. Rhodes gave up one run over six innings of work in a 1-0 loss. The freshman gave up five hits, four walks and struck out eight. Oregon State scored the only run of the game in the top of the first. If you're a fan of pitching William Woods 3-1, 11 inning loss to Columbia was a must watch. Taran Outlon (St. Albert, Alta.) threw 11 innings, yes, in one game. He scattered six hits and allowed the three runs (two earned). Oulton walked two and struck out 10 in the tough luck loss. The Columbia pitcher also tossed all 11 innings to earn the win. Freshman Griffin Hassall (Newmarket, Ont.) went six innings for Kansas State in their 11-4 loss to No. 10 Texas Tech. Hassall allowed four hits and three runs (one earned) to the Red Raiders. He walked two and struck out two. He owns a 1.86 ERA over 19 1/3 innings this season. Pierre Avoine (Gatineau, Que.) and Jacob Potter (Victoria, BC) helped set the tone for the Galveston College pitching staff last week. Avoine made two appearances, while Potter made a start. Avoine went two scoreless innings, surrendering a hit, a walk, while striking out two in a 3-2 win over Coastal Bend. His next appearances came in a 6-3, Game 2 loss to Laredo. In that one he went 3 1/3 innings, giving up four hits, a run and a walk. Potter took the ball in Game 1 with Laredo and led his team to a 3-2 win by tossing a complete game. He gave up six hits, the two runs and a pair of walks. He struck out four opposing hitters. Gus Wilson (Duncan, BC) had six hits and walked three times for the Whitecaps. He also drove in a run and stole a pair of bases. It took 10 innings but Coppin State pulled out a 4-2 win over Mount St. Mary’s. When the game started it was Carter Harbut (Abbotsford, BC) on the mound for Coppin State and he lasted five innings. Harbut scattered five hits, gave up two runs (one earned) and walked one. He struck out four before his day was over. Garrett Goodall (Nanaimo, BC) picked up his fifth win as his Embry Riddle Eagles downed the Florida Southern Mocs 8-5 in Game 2 of their series. Goodall gave up seven hits over seven innings and allowed a pair of runs. He walked one and struck out five in the win, the only win for the Eagles in the three-game set. McCook Colleges Anthony Kingsbury (Gatineau, Que.) tossed six scoreless innings in his teams 7-0 win over the Northwestern Oklahoma University JV’s. Kingsbury allowed four hits, two walks and struck out three to even his record at 1-1. 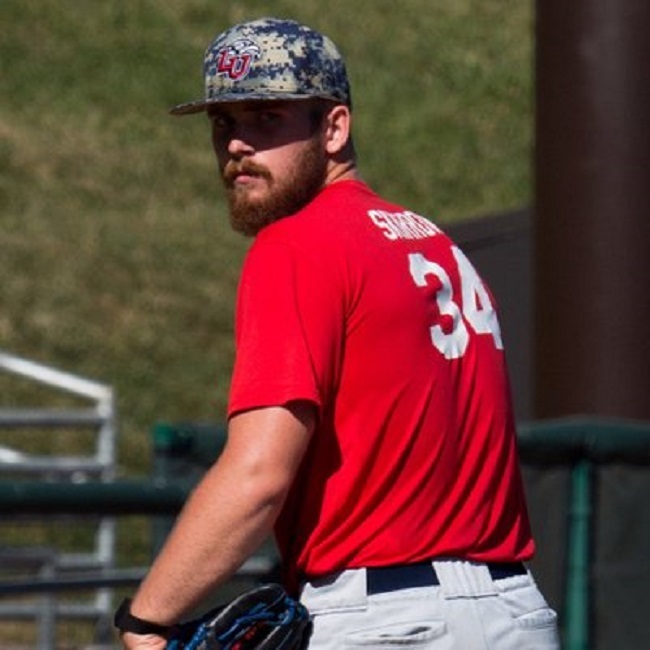 Former Tri-State Arsenal RHP Noah Skirrow (Stoney Creek, Ont.) picked up the win for the Liberty Flames. Noah Skirrow (Stoney Creek, Ont.) gave up two runs over eight innings and it was more than enough for the Liberty Flames to down North Florida 8-2. Skirrow allowed three hits, a walk and punched out seven. The Flames are 21-6 on the year. Elmira College’s Jansen Crossley (Vancouver, BC) collected seven hits last week. Crossley had a pair of two-hit games, walked once and drove in four. The opposition, William Baptist University, only managed five hits off Harris Stowe State’s Tyler Cox (Mississauga, Ont.) in Game 2 of their series. Cox threw all seven and struck out one in a 5-0 win. Kyran Weemaels (Airdrie, Alta.) went three innings, giving up five hits and two runs for Cabrini in their 8-4 win over Ramapo. Weemaels walked one and struck out one, as well. His week wasn't done there, however, as he was back in action in a 5-2 win over Immaculata. Weemaels lasted 4 2/3 in his second appearance, allowing five hits and an unearned run. He walked one and tacked on six strikeouts to bring his season total to 15. It’s been a good year for the Northwest Florida State Raiders as they have collected 32 wins against seven losses in 2019. Jacob Kush (Guelph, Ont.) has played a big part in their strong season. He was back at it in Game 1 of their series with Chipola that ended in a 12-1 win. Kush threw a complete game, seven innings. He scattered three hits and a walk, while striking out seven. Kush is 6-1 this season. Okanagan Athletics RHP Keaton Mandryk (Kelowna, BC) allows just one earn run and struck out nine in six innings in his start for Southeastern Illinois. Keaton Mandryk (Kelowna, BC) allowed two runs (one earned) over six innings for Southeastern Illinois College in their 16-2 blowout win over Greenville University. Mandryk worked around five hits and six walks in the game. He punched out nine and evened his record at 2-2. Marcus Strother (Kelowna, BC) started of his week going 3-for-4 with three walks and four runs scored in a 21-14 win over Shawnee. During a 9-7 win over Greenville University he had a hit and earned a walk. He had another three hits in the 16-2 win over Greenville, launching a home run and also walking once. Strother had another three-hit game in a 14-11 Game 1 loss to Lakeland. He worked another walk in the loss. Boxscores for Games 2 and 3 were not posted. In a pair of midweek games Bradley’s Jean Francois Garon (Terrebone, Que.) had three hits. Two of his hits came in a 4-2 loss to Iowa, while the other came in a 7-1 win over MacMurray College. Garon also walked in the win. That appeared to all be a warmup for Bradley’s three-game set with Evansville where Garon had six hits. He went 4-for-5 with two doubles in a 4-2 Game 2 loss. In Game 3 he hit a solo home run and drove in two total but Bradley dropped the game 6-4. That loss sealed the sweep for Evansville. Reilly O’Rourke (Sydney, NS) went five innings and gave up an unearned run in a 14-3 win for Minot State in Game 2 of their series with Sioux Falls. He surrendered three hits, issued a walk and struck out four. The Beavers went 5-0 on the week. Tyler Hoefer (Delta, BC) struck out 10 over 5 2/3 innings for Central Washington in a 12-8 loss to Northwest Nazarene. Hoefer allowed seven hits, four unearned runs and walked two in the loss. Central Washington made five errors in the game. Another freshman pitcher had a strong outing last week. 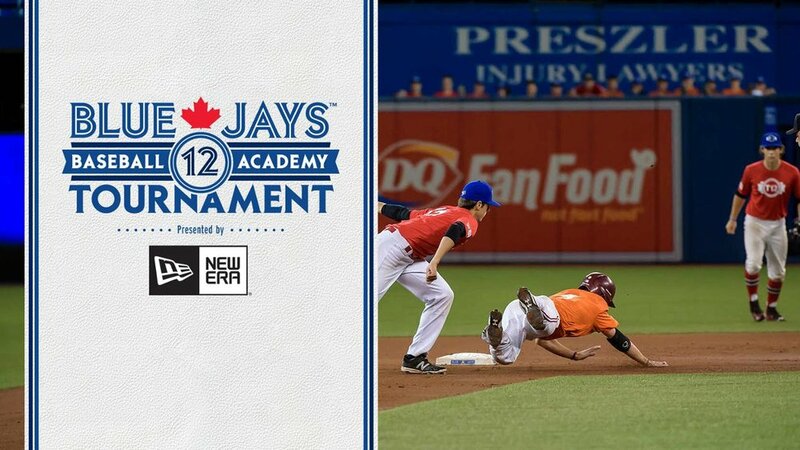 This time it was Ryan Capuano (Toronto, Ont.) who impressed for Marshall University in a 6-1 win over the Bobcats of Ohio. Capuano went five innings, gave up three hits, a run and struck out three. The righty picked up his first college win in the process. Fieldhouse Pirates C Drew Reilly (Cambridge, Ont.) had four hits for Keiser. Drew Reilly (Cambridge, Ont.) had four hits in Keiser’s three-game series with Florida Memorial. Reilly also walked once, drove in two, stole a base and was hit by a pitch in the 2-1 series win. The 2019 season has been much kinder to Trinity International as they are 10-19. That may not sound great, but considering they finished 2018 with a 4-43 record, its an improvement. Matt Latimer (Georgetown, Ont.) had five hits last week for his squad. His best game came in a 9-6 win over Columet College of St. Joseph when he went 3-for-4 with two RBIs and a stolen base. He also finished the week with a walk and a stolen base. Two Canadians were right in the middle of the offence for the Colby Community College Trojans during their four-game split with Butler. Jacob Bouzide (Calgary, Alta.) had six hits, two walks, four RBIs and three stolen bases. One of his hits was a home run in an 11-6 Game 2 win. Blake Gallagher (Fredricton, NB) chipped in four hits, four walks and six RBIs. Gallagher also homered in Game 2. William Sierra (Montreal, Que.) worked five scoreless innings in Yavapai’s 15-0 thumping of the Langley Blaze. He gave up four hits, walked four and struck out six. Indiana State received a complete game, seven inning shutout from Tyler Whitbread (Camlachie, Ont.) in a 12-0 win over Missouri State. Whitbread surrendered four hits, walked one and punched out 10. The Sycamores are 21-4 and Whitbread is 5-0 with a team best 1.42 ERA over 38 innings. ABC grad Anthony Quirion (Dixville, Que.) had a hit in all four of the Lamar Cardinals’ games. Anthony Quirion (Dixville, Que.) had a hit in all four of Lamar’s games last week. He started things off with a hit in a 10-7 loss to No. 11 Texas A&M. In Game 1 of Lamar’s series with Nichols State he went 3-for-4 in a 4-2 loss. They dropped Game 2 by a 5-4 score. Quirion hit a solo home run and walked in the loss. He hit another solo home run in a 6-5 Game 3 loss. In six games Cumberland’s Kyle Blackwell (Waterdown, Ont.) had seven hits. Blackwell went 3-for-4 with a walk and a RBI in an 11-9 loss to Shawnee State. He also walked three times and collected six RBIs during the hectic week. Noah Geekie (Starthclair, Man.) had eight hits for Barton in six games played. Geekie walked twice and drove in five. The Cowboys of Connors State are 25-4 this season. Jack Liddell (Mississauga, Ont.) and David Mendham (Dorchester, Ont.) have a lot to do with that success. Liddell worked 5 1/3 innings, allowing five hits and four unearned runs in a 15-4 Game 1 win over Seminole State (OK). He walked two and struck out seven to improve to 4-0. David Mendham is on fire in his first year with Connors State. He is hitting .417 with 43 RBIs. Last week he had eight hits, three walks and four RBIs. He went 3-for-4 in the Game 1 win and scored four runs. He closed the week going 4-for-6 with a walk in a 22-18 Game 3 win. Ryan Magdic (Beamsville, Ont.) had his best game of the week in a 7-2 Game 2 win over Mesa when he went 3-for-4 with a walk. He had six hits during the week and worked a walk. Ontario Outlaws’ grad Ryan Bester (Cargill, Ont.) had five hits for the Macomb Monarchs. Ryan Bester (Cargill, Ont.) had five hits, walked once and drove in three for Macomb. He went 3-for-3 with three RBIs in a 5-4 Game 2 loss to Mott. In three games for Dakota County Tech Parker Savard (Sudbury, Ont.) helped power the offence. In a 6-5 win over Augsburg University he had a hit. Next was a 7-0 win over Bethel that was backed by a two hit, two RBI performance from Savard. He had two more hits and another RBI in a 15-5 win over Bethel to end the weeks slate. Matthew Clay (Port Moody, BC) was a tough out for the College of Idaho in their four-game set with Oregon Tech. He went 3-for-5 with a RBI and a stolen base in a 6-5, Game 1 loss. The Yotes took Game 2, 3-2 and Clay went 2-for-4 with a walk and a RBI. Game 3 went the way of the Yotes by a 9-3 score. Clay went 2-for-5 with a RBI in that one and closed his week going 2-for-4 with a solo home run, a walk and a stolen base in a 7-3 Game 4 win. Matt Bondarchuk (Edmonton, Alta.) went 4-for-10 for the University of Nebraska Omaha. He added a pair of RBIs and two stolen bases to his totals in the 3-1 week. Omaha swept a three-game series with Western Illinois. Make it seven straight wins and a 14-3 record for the Bismarck State Mystics. Jared Binsfeld (Saskatoon, Sask.) had five hits and six RBIs in a 4-0 week as the Mystics swept Dawson Community College. Binsfeld launched a two-run home run and a solo home run in a 13-5 Game 3 win. Thornhill Reds grad Gianfranco Morello (Toronto, Ont.) carried the big bat for Charleston. Gianfranco Morello (Toronto, Ont.) was a force in three games for Charleston. Morello had five hits, walked twice, drove in five and stole two bases in three wins. Eric Marriott (Niagara Falls, Ont.) was a thorn in the side of opposing pitching. Marriott had two hits, walked twice, drove in a run and stole a base in Mitchell’s 20-0 drubbing of Albertus Magnus. In a rematch he had a RBI in a 5-0 win. In a 16-1 win over Newbury, Marriott went 3-for-4 with a walk and a RBI. In the final game of the week, a 12-1 win over Newbury, he went 4-for-4 with a RBI and three stolen bases. A two-run home run and a hit by pitch was how Dylan Borman (Camrose, Alta.) started his week for the University of Arkansas Monticello Boll Weevils. Arkansas Monticello would take the game 7-5 over Mississippi College. The Boll Weevils won their second game of the week 13-3 over Southern Nazarene University. Borman went 3-for-4 with three doubles and three RBIs in the win. The final game of the week ended in a 9-4 win and Borman had a hit, two RBIs and was hit by a pitch. Cooper Davis (Mississauga, Ont.) was hitting leadoff for the No. 6 Vanderbilt Commodores in their three-game series with the University of Tennessee Volunteers. Davis had a hit, a walk and stole a base in a 4-2 Game 1 win. Vanderbilt won Game 2 and clinched the series win with a 10-4 Game 2 victory. Davis went 3-for-4 with two RBIs and a stolen base in that one. They couldn’t complete the sweep as they dropped Game 3, 7-6. In the finale Davis had a hit and was hit by a pitch. Bryant and Stratton’s Brett Graham (Burlington, Ont.) had four hits to finish 4-for-10 in four games for Bryant and Stratton. He also walked twice and swiped a pair of bases. The most confusing game of the week came when Graham’s Bryant and Stratton (Virginia) lost 11-1 to Bryant and Stratton (New York). Okanagan Athletics’ Samuel Avila (Kamloops, BC), right, had six hits for Southwest Baptist. That’s McCoy Pearce (Kamloops, BC), left, now of McPherson and Brendan Coulter. Samuel Avila (Kamloops, BC) had six hits for Southwest Baptist. He had a pair of multi-hit games, going 3-for-5 in a 9-2 win over Drury and 2-for-3 in a 6-2 win over Northeastern State University. He walked four times, drove in three and stole five bases. Steven Moretto (Coquitlam, BC) had a nice week for Sacramento State, pounding out six hits, including a solo home run in a 6-0 win over Cal. He finished his week with five walks and five RBIs. It started with a hit for Thomas Green (Courtenay, BC) in his teams 4-3 win over Oxnard. Green followed that up with a 2-for-4 game with a triple, a walk and a RBI in Cuesta’s 12-5 win over Allan Hancock. Next up was another game with Allan Hancock. Green went 3-for-4 with a RBI, finishing a home run short of the cycle. Jordan Stamp (Brantford, Ont.) went seven innings and gave up one run in Labette’s 10-2 win over Coffeyville. He allowed three hits and wiggled around seven walks to earn his third win. He struck out eight hitters. Five games were on the schedule for Point Park last week. Tyler Dobie (Toronto, Ont.) managed seven hits, four walks and two RBIs. Point Park went 4-1. Former North Shore Twin Finn Kaczmarowski (Vancouver, BC) helped the Douglas Royals to victory. Finn Kaczmarowski (Vancouver, BC) gave up seven hits over seven innings to help Douglas College pick up their only win of a four-game series with Shoreline. Kaczmarowski allowed an unearned run, walked three and struck out five in the 5-2 win. He also went 2-for-2 at the plate during the series. It was 6 1/3 scoreless innings supplied by Tanner Bercier (La Salle, Man.) for Frank Phillips in a 4-0 win over Vernon. Bercier gave up six hits, walked two and struck out eight. 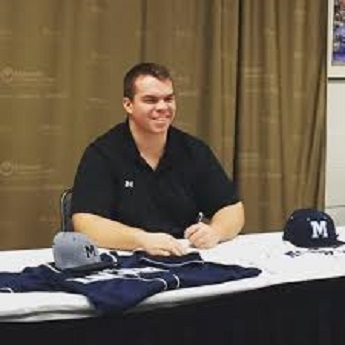 Tyler Manby (White Rock, BC) tossed a complete game, five innings to pick up the win for Miles Community College. Manby allowed three hits and three walks. He struck out 10 Lake Region State batters. 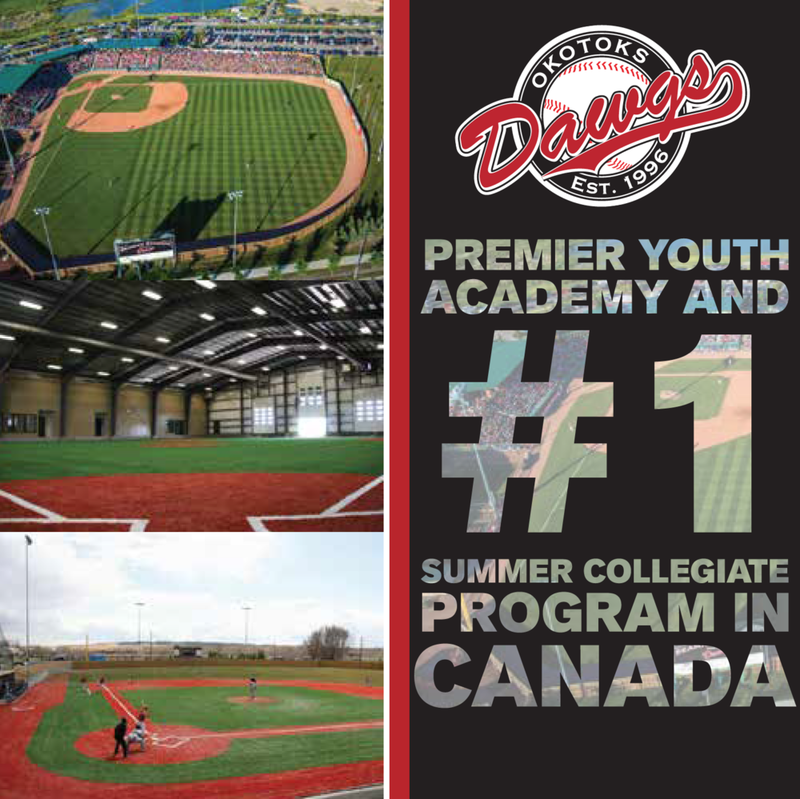 It’s not hard to find Canadian success stories around the college baseball circuit. Each week there are numerous top performances. Continue reading the BMOC for the highlights. If you know someone deserving of a mention in the weekly BMOC please email Matt Betts at mattbetts41@gmail.com.